What a fun surprise! Thank you, Bart. And Merry Christmas, everyone! out... man this one is nice. Thank you Bart and happy Xmas ! Great as always ;) Merry Xmas Bart! Just one question: How come Cat is wearing a tie in the living room picture? I was trying to find out it's significance and clicking on it and around it quite a bit, lol! I think I'm missing something. I've found all 20 balls but the game doesn't seem to think I'm done. Is there something else I need to do after finding all 20, or is the game just not recognizing that I'm done? Got all the puzzles but the drawer with the star/bow/man thing. Can't figure that one out. But all but one puzzle is not bad when you're me. @anna in spain: Look at the presents under the tree. Love the game, and the little dance show at the end! Merry Christmas! 15, but I haven't done many of this type of puzzle. I need a gingerbread man/star to put on the fridge, but they won't come off the presents. FUN! Loved this. It had just the right amount of head-scratching, keeping it engaging without being too difficult. Thanks! Fun, relaxing and interesting game, thanks. Merry Christmas! can't figure out the gingerbread man ....opened the storage with the canes in it, still can't figure it out...any hints, anybody? thanks. never mind,l figured it out, all by myself...Merry Christmas Bart. Merci pour ce joli de cadeau de Noël en avance! Et bonnes fêtes à vous Bart! I love the ending - very fun! and: vrolijk kerstfeest to you too! Just played through it a second time, and the exact same thing happened. After I've found the 20th ball, the game just keeps going like it is waiting for me to find #21. No funny animation, no "Congratulations" message, nothing. Either it's not recognizing that I'm done, or there's something else I need to do that I haven't figured out yet. It would be nice to know which is the case. Hi Phred, I'm not aware of this problem. You should get the end part immediately after you find the 20th ball. Are you playing on mobile or in the browser, and what ball do you pick up as 20th ball? Thanks! Phred right after you got the last two balls from the chimney you should get the ending. Seems for some reason it doesnt register for you, have you tried to play it with a different browser? I'm playing the game in Firefox 42.0 running on Linux (Ubuntu). (I don't have a mobile device capable of running the game.) I don't know if I should post exactly how I get the last two balls because it might be spoily for somebody, but they have to do with the cat and the flashlight. I was planning to try it in Chrome, just to see if the browser might be a factor. But my guess might be that it has something to do with Flash. OK, update: Running on Chrome on the same computer/OS, the ending displays properly the instant I click on the 20th ball. So the problem seems to have something to do with Firefox after all. Hahaha! Thanks Bart. And the dancing cat at the end is cute too! T.
Works properly on Firefox 42.0 here, Flash enabled on a per-instance basis. This is the first game of this type I've played. Fun! @Phred: thanks for the update, I couldn't reproduce your problem in Firefox, just to make sure: are you sure the counter was at 20/20? Thanks! Thanks for all your wonderful comments on the game :) And thanks to everyone who is supporting bontegames by buying the app! 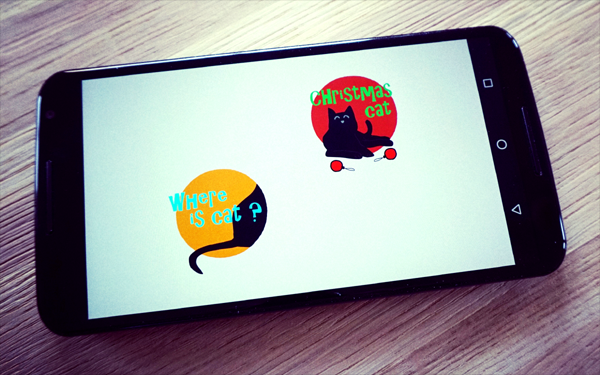 Remember: the app will get updated in the future with more Bonte cat adventures! Yay!! Thank you, Bart. Merry Christmas to you and your family! Oh my, that ending. I'm not so sure about that cat of yours Bart! I love the cat at the end! For what it's worth, I just tried with Firefox 42.0 on Ubuntu Linux and didn't have any problems (previously I'd been using Chrome, which also didn't have any problems). Merry Christmas, Bart! Thanks for all the fun! im stuck on the box with the candy canes on it. which order do i need to press them in? Check the curtains, Lily... I think. For what it's worth, the counter was definitely reading 20/20. I can probably send you a screenshot if you like, but I'm not sure how to get it to you. I'm sure I'll have no trouble reproducing the problem. Bart: I have four screen shots (PNG, about 200k each) showing the counter at 20/20 in each of the four rooms (this shouldn't be possible, right?). These were taken on my computer running Ubuntu 14.04.3 and Firefox 42.0 with all extensions disabled ("safe mode"). At first I hoped it might be an extension problem, but apparently not. I still have my suspicions that Flash itself is the problem, since I'm running an old version of Flash with no hope of updates (Adobe stopped supporting Flash on Linux a year or more ago), but that doesn't explain why Chrome works. I realize I'm the only one reporting this issue so far, so I don't expect it to be a high priority, but if there's any other information you want from me to help you track this down, let me know and I'll do my best to get it for you. Best Christmas game ever Bart, thanks and merry Christmas! Loved the end part! @Phred What version of flash do you have in Firefox? Go to about:plugins and look for "Shockwave Flash" in Firefox. My Flash version in Firefox is 11.2.202.548. Also, are you on a 32-bit or 64-bit machine? I love the app Bart and so do my boys :-) Thanks and Merry Christmas all! Thank you for building and sharing this one!!! thank you so much for all your pretty games. 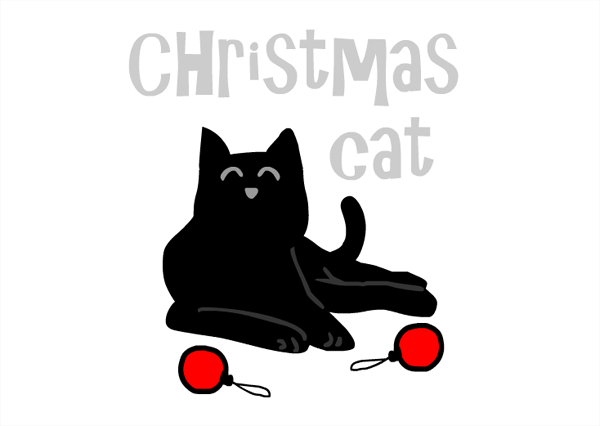 Christmas Cat is one more of them, I like it very much. Often enough times are bussy and there is no time to check all the stuff on your website. But then, when the days are short and the snow (should be) starting to fall, then I'm going to check all the great stuff I missed the last months - right before the end of the year. And then I know: it is Christmas. Good one. The congratulations screen was better than the ones in Mild Escapes, even. Merry Christmas! 1) Apparently there was some sort of Flash update (!) recently. My computer now has version 11.2.202.554, although that just upgraded earlier today. I checked the upgrade log and I used to have .548, just like yours. Haven't tried the game again yet since the update so I don't know if it changes anything. 2) 32-bit machine. Actually, I'm not so sure about the machine itself, but the OS is 32-bit. Update: "new" version of Flash makes no difference whatsoever. Great fun with a cute ending! love your games! Merry Christmas and happy New Year! Wish your merry Christmas and I love you!!!! Bart - I love the music in your games, particularly the holiday version. Is there a chance we could a get a link to download it somewhere? A nice little game, with obvious yet well hidden clues. Thanks Bart and Merry Christmas. I love puzzle games and cats so these are right up my alley. Such a cute idea for Christmas. I will be checking these out soon. @Phred I just updated my 32-bit Ubuntu system, including Firefox and Flash, and the game still works for me. I'm now running version 11.2.202.554 of Flash under Firefox. So, still no idea why it's not working for you. The only other thing I can suggest trying is disabling hardware acceleration. Merry Christmas, Bart! And thank you! Such a cute game, Bart. Happy Christmas to you and your family. Thank you for all the interesting games you post and for running a site where all your guests are polite and helpful! I'm one of your silent visitors, but just hovering on the sidelines, I still appreciate the calm and friendly atmosphere. Happy Christmas to all of you! Wow. I finally completed the game. It took several tries of critical thinking. But overall it was very fun. This game got me into Christmas mood. The dancing cat at the end is cool. Thanks. Looove it! What a great game!!! I love the cat games!